« Grammar Giggle – Assistants? A friend sent this to me. 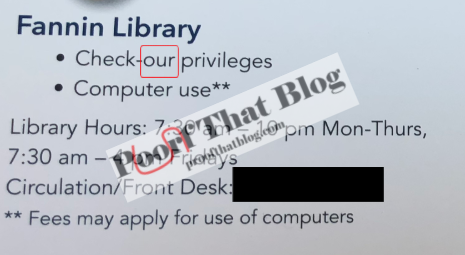 I’m sure they meant check-OUT privileges, but that’s not what it says.